This week, I am doing something out of the ordinary and having my first go at a sketch challenge at Just Add Ink! Yay me!!!! Having never participated in a sketch before, I am very nervous and made a card that is not really my style. It is quite busy, when I usually make fairly clean style cards. I have tried to stay with the circle elements, but have placed the ribbon to the opposite side. Here’s what I came up with, using the beautiful Fresh Prints Designer Series paper. I love these colours together and when just had to have this paper stack. This Designer Series paper stack will be available during Sale-a-bration, starting 28th January through to 31st March . Be sure to email a request for your brochures today and you will be sure to love the new products too. There are also FREE products to choose from with every $90 spent! Here is a close up of the Spiral Flower with sponged edges in crumb cake ink and the crystal effects added to look like raindrops! This is another of my favourite “had to have” products from the Sale-a-bration catalogue available soon. Be sure to visit the Just Add Ink page to view the rest of the Design Team samples, they are just stunning! Tagged Fresh Prints DSP, JAI, Occasions & Sale-a-bration, Spiral Flower Originals Die, Stampin' Up! So glad you’re entering your first sketch challenge because you’ve done a wonderful job with this pretty card! 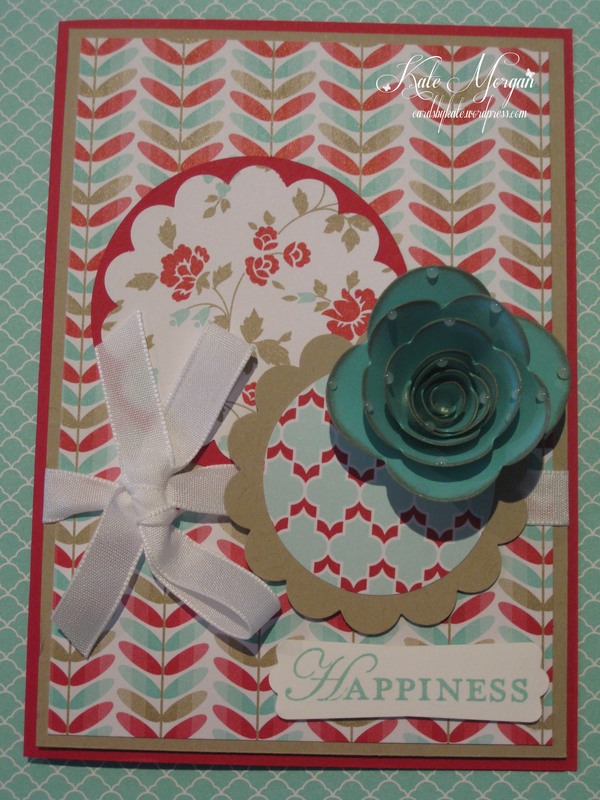 Love the mix of DSPs and flower you’ve used! Thanks for joining us at Just Add Ink this week! Yay, Kate! Congrats on taking the plunge into the world of challenges – so glad you chose Just Add Ink as your first! This is really lovely. Isn’t that paper just a pad of happiness? Love it, and love how you’ve used the colours. The flower is beautiful. What a gorgeous card, love the raindrop effect on the flower. YAY you totally!! So awesome that your playing along with your first sketch challenge!!! What a pretty flower you’ve created and it matches lovely with all your DSP. Hey Kate thanks for joining us at Just Add Ink for your first sketch challenge! You did a great job mixing the new DSP patterns and I love your spiral flower – those ‘dew’ drops look lovely! We’re so glad you joined in! 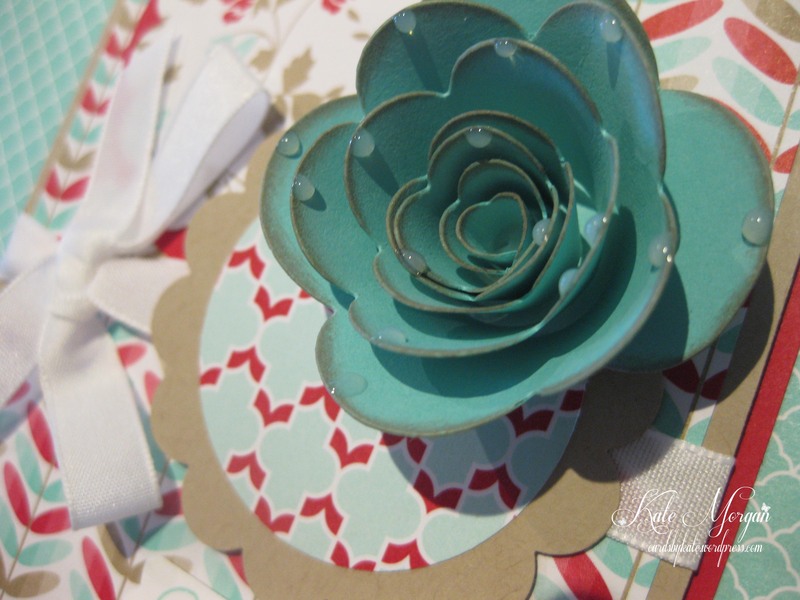 What a great card – love the 3D flower.